Well it's the last day of our excessive heat warning hopefully and will literally be a steamy Sunday due to the bit of rain we got last night. My image for today is a more artsy one than usual. I shot No. 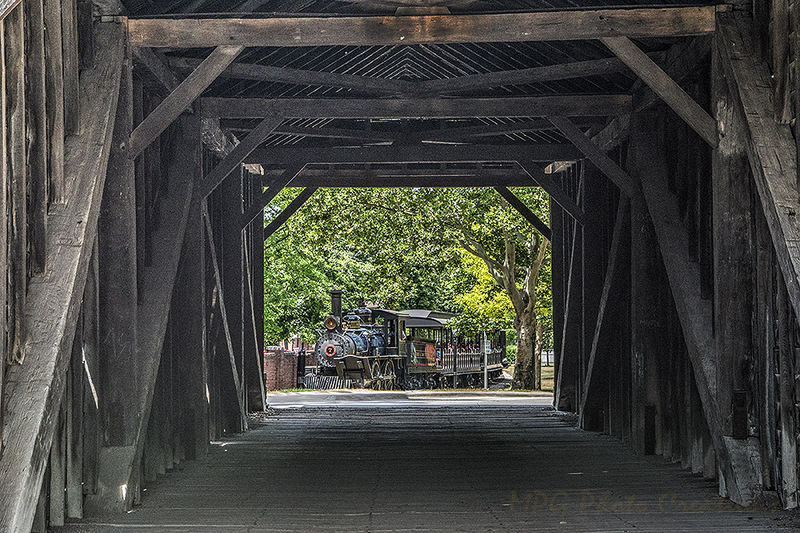 7 at Henry Ford's Greenfield village through an old covered bridge. I did a bit of Photoshop work to it because there was a large electrical box that was blocking part of the train. It's not perfect but I think it turned out well enough to share. 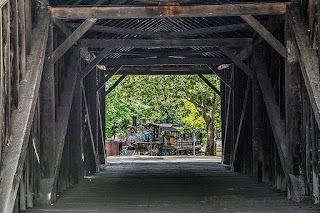 I also added some HDR to this image to get the details of the bridge to show up. It's best viewed large of course.